There is some good news about Alappuzha beach tours. Alappuzha have a flat sandy coast, regardless beaches were always overlooked. As a result tourist’s beach experience was limited to Alappuzha (Alleppy) beach, a city beach with not much scope for swimming. A major twist happened ever since travellers discovered Marai beach and started flocking there. Today, the beaches list has several new additions. People are even cordoning off a small section of a remote beach, offer a home stay right there, provide great service and win customers. Look at the reviews for ‘Secret beach’, people are getting it right and the trend is going to stay. So this list, by no means is complete. If you wish to holiday on a beach, explore further to isolate the remote jewel that absolutely suits you. Take a ride from the town and you will be here in minutes. This beach is just close to the railway station. Alappuzha beach is long and wide. Being a city beach, it is a popular hangout during evenings and weekends. Other times, there may only be a few people along the vast expanse of sand. Beach strolls, sun sets and local food are the usual stuff. You can add camel riding too. Better to keep away from swimming, as the currents are strong. The light house on the beach allows visitors to climb up during evenings (3-5 PM). There is also a kid’s park nearby. It is quite fascinating to see how Mararikulam, a true, to the core, fishing village has touched the hearts of travel folk from all over the globe. 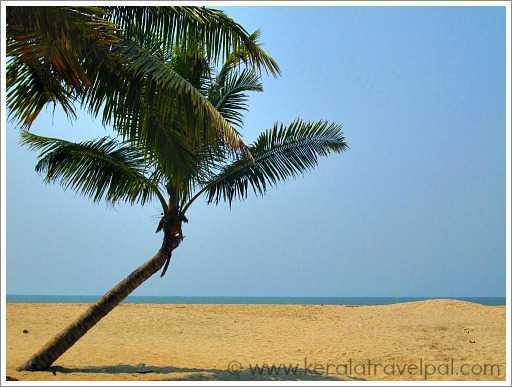 The beach of Mararikulam or simply Marari beach is tranquil enough to make you feel that you have now reached a million miles away from the world of worries. The coconut trees on the shore look short. Leave this shore and they will grow tall in your mind. The way to enjoy the best of the beach is to stay in one of the resorts or home stays near the water. Although this beach ticks a lot of boxes, it does have a negative. Walk around and you will see that some areas are used as a public toilet. Keep away from certain areas or restrict yourself to the private beaches of resorts, and you will not encounter any such issues. 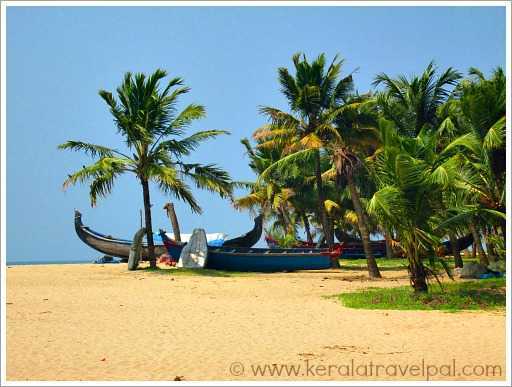 This beach at the meeting point of sea and backwater is a favourite picnic spot for locals. Visitors arrive during evening, so day time is usually crowd free. During low tides, water recedes and a mud bank appears. Wait till the next high tide, and you will have the lagoon again. Sea water is a threat to the paddy fields of the region. Salinity regulation is a must for agriculture. Shutters are in place to control sea water entering the lake and thereby reaching the paddy fields. Fun is limited to sightseeing since the waves are strong. Andhakaranazhi is a fishing belt. Early morning fisher folk set out to the sea, by late afternoon they are back with boatloads of fish. Manakodom light house is near to this beach. The entry however is limited to festive season only. Andhakaranzhi is in North Alappuzha near Eranakulam border. From National Highway, take a turn towards Vayalar Railway station and continue through the road till you reach the beach. Travel south from Andhakaranazhi along the beach road. There are a few beaches along this road, the notable ones are Thaickal and Arthunkal. Thaickal beach is at 7 kms from Andhakaranazhi. If you are travelling through the highway, turn at Chertala to Thaickal Road. This is a small beach near a fishing hamlet. Arthunkal, the famous pilgrim centre, is also one visited by many tourists. The beach is less than a km from St. Andrew’s Church and an ideal place to spend a couple of hours if you are visiting the church. This beach, long and wide, has potential for further development. 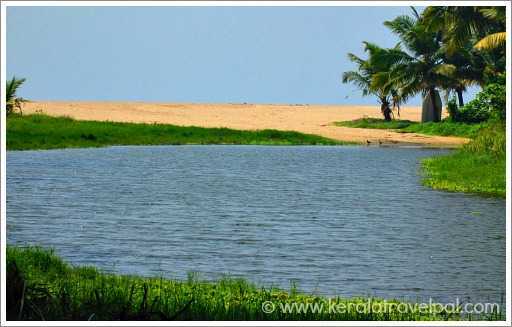 This is a secluded beach just outside Alappuzha town. Unfortunately, it is too small and in the middle of fishermen settlements.